For the second consecutive week, big man Tom Campbell was a standout for North Melbourne’s VFL side. North’s VFL side will look to secure its first win of the season proper against Essendon on Saturday morning. When Tom Campbell lined up for goal from well outside 50, teammate Dom Tyson had little doubt he’d deliver. North's VFL side were beaten by last year’s VFL grand finalists, falling to the Demons at Casey Fields. Tom Campbell was a standout on a tough day for North's VFL side, performing strongly in multiple roles. North's VFL side will travel to Casey to face last year’s grand finalists in an important Round 2 fixture. Sam Wright will continue his push for a return to the Roos’ senior side when he lines up in the VFL. An ability to create damage in multiple areas will only fast-track Nick Larkey’s development. Nathan Hrovat put forward his case for senior selection with an impressive showing for North’s VFL side. North Melbourne’s VFL side suffered a loss in its season-opener, falling to Werribee at Avalon Airport Oval. 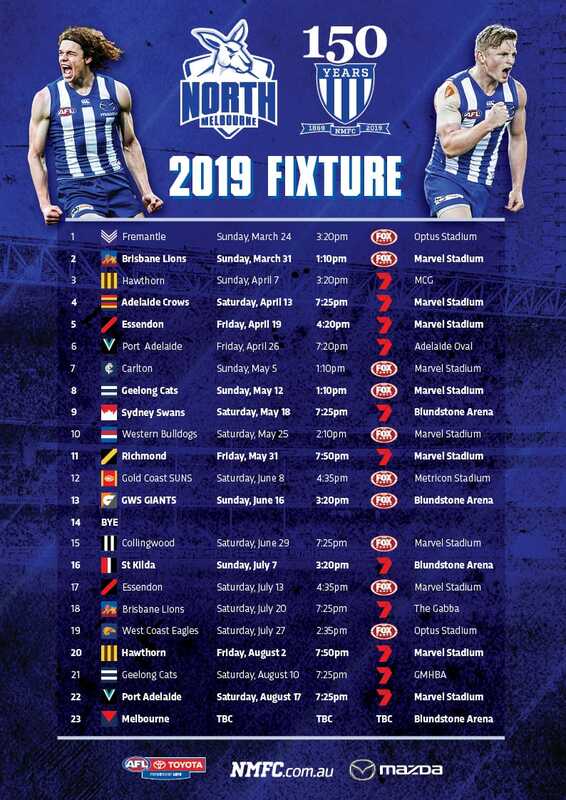 Round 1 of the VFL season is finally here and North Melbourne will take on Werribee in the season-opener. After a year of growth, North’s VFL side looks forward to its second season as a standalone side. The countdown towards Round 1 continued on Wednesday, with North's VFL side hitting the track under lights. Paul Ahern, Tom Murphy and Joel Crocker were among North's best in Saturday's practice match.